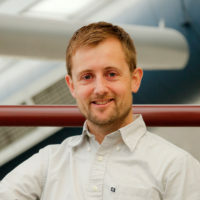 Professor Cooper joined the University of Connecticut in the Fall of 2016 as an Assistant Professor-in-Residence in the Department of Mechanical Engineering. He received his B.S. from Drexel University (2008) and his Ph.D. from Columbia University (2014). Following his Ph.D. he worked as a postdoctoral research assistant for the Materials Science and Technology Division at Oak Ridge National Laboratory. He is passionate about teaching and research. His research focuses on multiscale mechanics of materials including 2D materials (such as graphene), ceramics, etc.